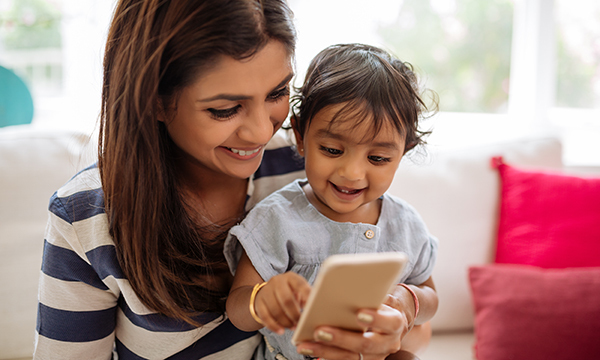 Young children may be entertained and occupied by watching videos on smartphones but they do not appear to learn from them, the results of research conducted in India suggest. For the study, 55 Indian children were visited by two researchers at four different ages: six, 12, 18 and 24 months. The children’s behaviour was observed and recorded as they watched YouTube videos on their parents’ smartphones. The observers noted the children’s abilities to interact with touchscreens and identify people who appeared in the videos. They also recorded which videos appeared to attract and interest the children the most. At the age of six months, the children seemed most attracted by the music accompanying the videos. By 12 months they were interested in actually watching the videos themselves. They were able to identify their parents in videos at 12 months and themselves at 24 months. At 18 months they could press the buttons that appeared on the smartphone screen but did not appear to understand what they were for. The researchers say that young children are 'more interested in smartphones than in any other form of media', even though they seem not to learn from videos played on a phone. They say there is a need for more research into the techno-behavioural aspects of the interaction children have with smartphones.